You are invited to the organ recital The Art of Fugue by Johann Sebastian Bach in the interpretation of Czech organist and composer Irena Kosíková. The concert will place on Tuesday 5th August 2014 at 9pm, in the Cathédrale Sainte-Marie de Lombez (Place de la Cathédrale, 32220, Lombez, France). Tickets at the door. The Art of Fugue (Die Kunst der Fuge, BWV 1080) is an incomplete work of unspecified instrumentation by Johann Sebastian Bach (1685–1750). Written in the last decade of his life, The Art of Fugue is the culmination of Bach's experimentation with mono thematic instrumental works. It consists of 14 fugues and 4 canons, each using some variation of a single principal theme in D minor. The concert celebrates 30th anniversary of Les Amis de l'Orgue and it's part of summer festival Été en bord de Save. Profit will be used for the restoration of the organ in Samatan. In partnership with Les Amis de l'Orgue. 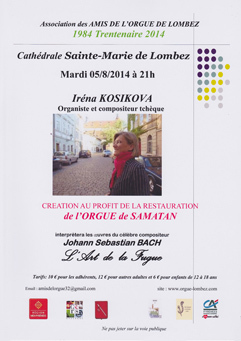 For further information, visit http://www.Orgue-Lombez.com , http://www.iKosik.com , http://www.youtube.com/IrenaKosikova , http://www.facebook.com/Kosikova.Irena and http://twitter.com/IrenaKosikova . In which cathedral will Czech organist Irena Kosíková perform The Art of Fugue by Johann Sebastian Bach? Contest is over, lucky winner is K. K. from Hnojník. Prize for the CZECH CELLIST FRANTIŠEK BRIKCIUS NEWSLETTER is provided by Czech Fishing Magazine, the media partner of the "Festival Brikcius". 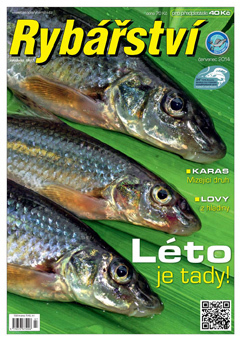 More details about the Czech Fishing Magazine are available on websites http://www.CasopisRybarstvi.cz and https://www.FaceBook.com . Czech neoclassicist composer and conductor Iša Krejčí was born on 10th July 1904 in Prague, into a family with a distinguished cultural background. His father František Krejčí (1858 - 1934) was famous philosopher from Prague. Iša Krejčí graduated at the Academic gymnasium in 1923. He studied history and musicology at the Charles University in Prague. He concurrently studied the composition with Karel Boleslav Jirák (1891 - 1972) and the piano with Albín Šíma at the Prague Conservatory. He also attended a master class at that school, studying composition with Vítězslav Novák (1870 - 1949) and conducting with Pavel Dědeček (1885 - 1954) and Václav Talich (1883 - 1961). 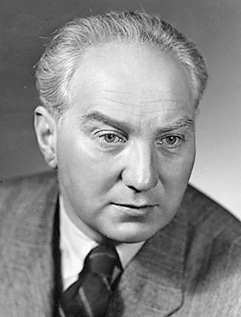 As a scenic music composer, he worked with director Jiří Frejka (1904 - 1952) for many years in the Legie mladých, later at the Divadlo mladých, the Osvobozené divadlo and the National Theatre in Prague. After he gained experience as a répétiteur and a conductor at the Slovak National Theatre in Bratislava (1928 - 1932) and the National Theatre in Prague (1933 - 1934), he worked at the Czech Radio (1934 - 1945) and conducted the Orchestrální sdružení in Prague (1936 - 1945). In 1945-1958 he was a chief of the Olomouc Opera and in 1958-1968 he was artistic director of the National Theatre Opera in Prague. In the season 1964/1965 he led opera company in České Budějovice. His dramaturgy was concentrated especially on the contemporary music. Together with Pavel Bořkovec (1894 - 1972), Jaroslav Ježek (1906 - 1942), Václav Holzknecht (1904 - 1988) and Bohuslav Martinů (1890 - 1959) he founded Music society Mánes, connected to the contemporary art and oriented on the French music Avant-garde. Iša Krejčí died 6th March 1968 in Prague. He was buried in the family grave in Prague 6, together with his sister, academic painter Hana Fillová, born Krejčová (1890 - 1958) and her husband, painter Emil Filla (1882 - 1953). The Festival Brikcius - the 3rd chamber music concert series at the Stone Bell House & the Year of Czech Music 2014 commemorates the 110th anniversary of the birth of Iša Krejčí on the final concert featuring his Sonatina Concertante performed by French pianist Justine Justine Verdier and cellist František Brikcius. 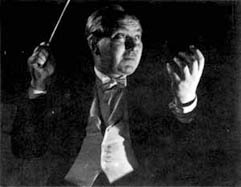 For more details about Czech composer and conductor Iša Krejčí visit websites http://www.Brikcius.com and http://EN.Wikipedia.org/Wiki/Iša_Krejčí . For latest updates follow Czech organist and composer Irena Kosíková on Twitter http://Twitter.com/IrenaKosikova .